Amp Up Your Success With Customized eBay Services! You create your own eBay Store . We will transform your vision into a reality by setting up a customized eBay store to help you penetrate your target audience. Get a dedicated eBay store designer working exclusively for you. A custom eBay store design and integration that’s built around you. Make your eBay store lucrative and search engine-friendly. Go for fully-integrated eBay store to build strong customer base. Keep your customers safe through secured payment gateways. 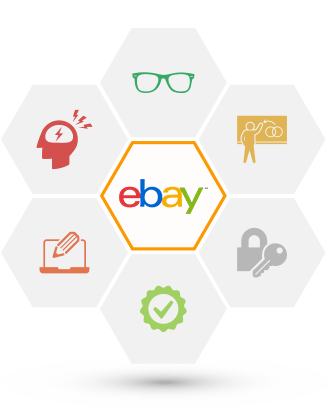 Your eBay store setup will be equipped with tons of tools, features and functionalities to protect you and your customers. You don’t have to worry about maintaining your integrated eBay store. The automated processes will not require maintenance costs. Our eBay store designers will help you gain all the benefits that eBay can offer you. Your eBay storefront will be designed your way. You will get elegant and uncluttered designs and templates to help you get an edge over your competitors. Our eBay store designers understand business along with designs. They will come up with designs and graphics that are SEO-friendly with potential to go viral on social media. Your eBay shop will be designed to propel your branding strategies. We will also help you design and implement a powerful marketing and promotional strategy. Optimize your user experience by displaying the right products in the right manner. Promote your products effectively through featured product functionality. You never have to worry about safety. Right from payment gateway to backend data storage, everything is secured with high-end security tools and software. Rest assured you will get top-notch quality. Without doubt. We always use proven methodologies to design your solutions, and so they always give you impressive results. multiple eBay stores. Get custom inventory management solution for your custom business. Why Should You Create An eBay Store? The story of eBay is legendary. It has thousands of stores with millions of products, and all the stores are thriving. Ecomfoster is the partner who can help you replicate eBay’s success.You can utilize our eBay store designers’ expertise to create unique and fresh eBay stores. Each and every feature of the store will be personalized and integrated. Inventory management. Product management. Order management. Marketing management. Customer management. Everything will be synchronized and integrated in a single interface. With customized eBay store from Ecomfoster, you offer more than products to your customers. You offer them satisfaction. You get a solution that’s built exclusively for you. To make sure you get the right solution, we ask questions to understand your business. We understand your market, your customers, and your competitors. Depending on the analysis of your business, our product specialists will come up with unique solutions. Our eBay store designers will create unique designs and eBay store developers will leverage those designs. Your growth is our ultimate goal. Each element of the solution will be designed to facilitate your growth. A powerful and comprehensive marketing strategy will be designed and implemented for impressive results. 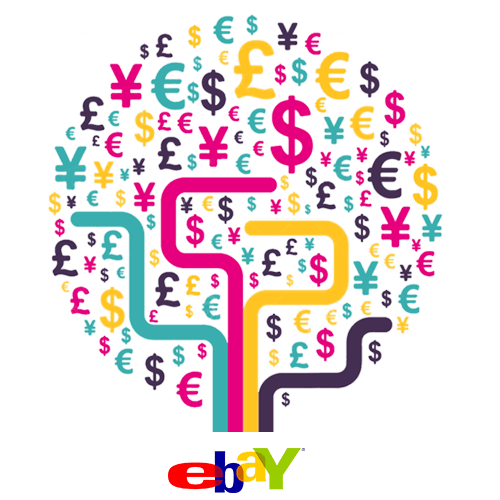 Leverage Our eBay Store Expertise For Your Growth. You have 100% dedication and commitment of all our eBay store experts. Right from designers to developers to digital marketers. Make the most of them.